Check out what other folks read here. Thank you to Candace of Beth Fish Reads for hosting such a fun challenge. 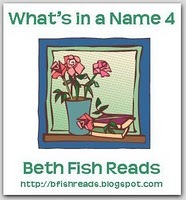 Looking forward to the 2012 What's in a Name 5 and figuring out which books to read. Bravo for completing this one!